Great detail view of the tail wheel. 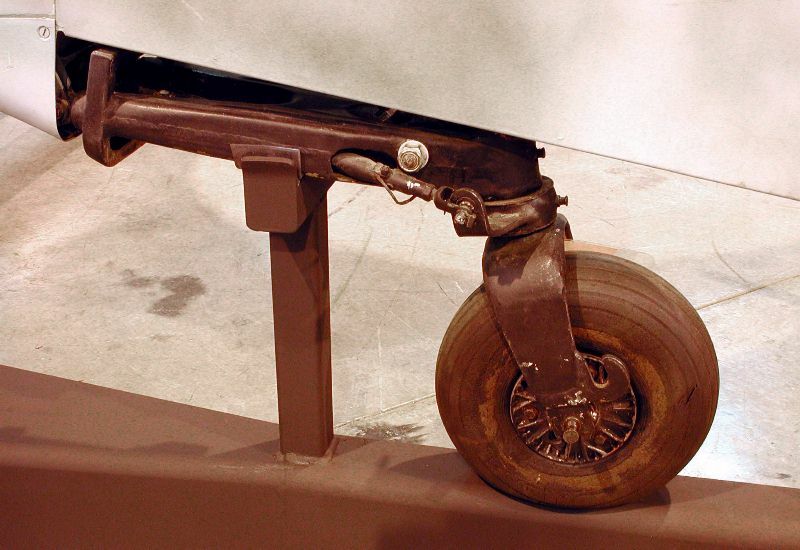 Note the tail wheel steering arm exiting from the triangular frame. This steering system could be locked before take-off on the other side.